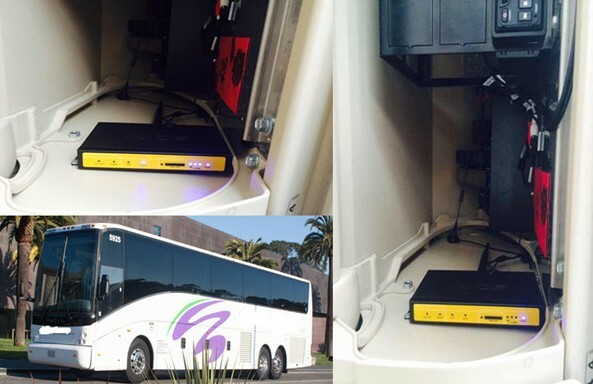 One USA tour bus company purchased 50 pcs 3g wifi router F3424 Rugged 3G Router for providing wifi on the bus for the passengers. Through the Four-Faith intelligent terminal equipment F3424 installed in the bus, the mobile communication signal sent by 3G base stations set up along the way were transmitted into the steady quality of the network signal (Wi-Fi signal), can easily meet the passengers use of browsing webpage, seeing video, brushing micro blog and other "smart"needs. 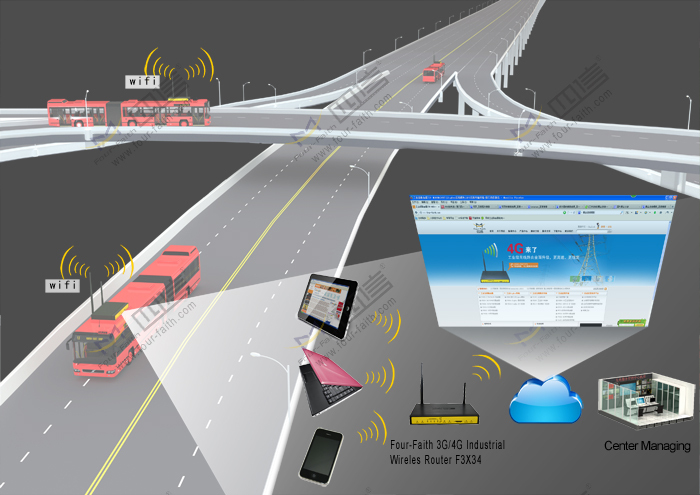 --Four-Faith router is full industrial grade, suitable for mobile vehicle, and also providing more stable wifi signal than normal one. --Support more than 30 device to connect to internet via wifi at the same time. --Support general bandwidth limited function and general traffic flow statistics,helpful for the bus company to control the traffic. --Support chillispot enable to bus company to see how many device using the wifi.